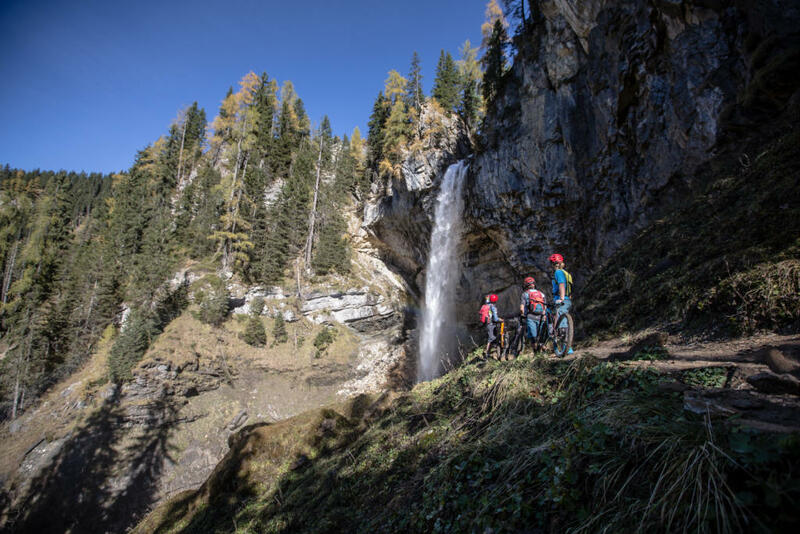 Incredible panoramas, a real Alpine pass crossing and a gigantic waterfall - the Stoneman Taurista truly is a first class mountain bike tour. Alpine peaks as far as the eye can see. Grossglockner, Dachstein, Bischofsmütze, Hochkönig, Großvenediger - on the Stoneman Taurista the Tauern lies at your feet. 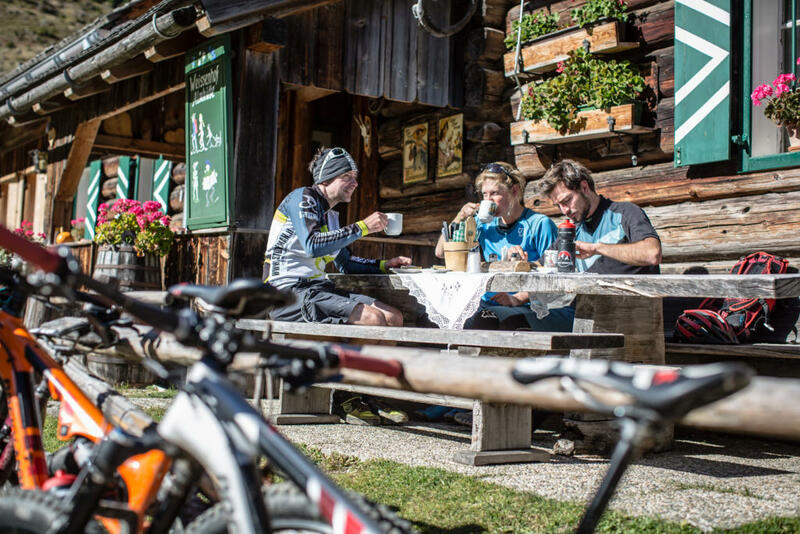 Whether on Grießenkar, the Rossbrand or after the Oberhütte - on this mountain bike tour you will always be treated to incredible panoramic views. There is a checkpoint at every summit. But your reward will be more than the hole punch in your starter card. Above all, you will never forget the descents - the best of which fly down narrow tracks against panoramic backdrops. 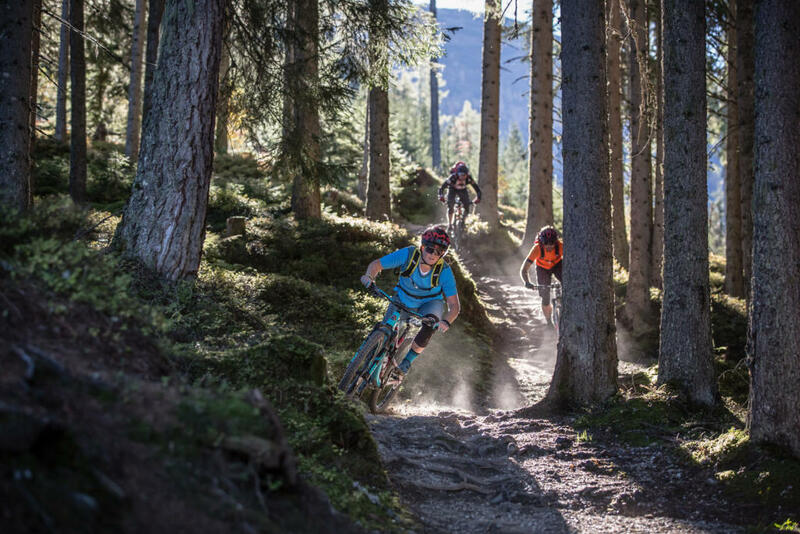 "123 km pure mountain bike emotion"
The Stoneman Taurista has everything that makes the Salzburger Land so unique. Countless alpine pastures and huts, abundant streams, rivers and mountain lakes; dense, dark forests and the rugged mountain world of the Tauern. Over 123 km and 4,500 meters of altitude gain, you will pass the most beautiful spots, experience wonderful panoramas, enjoy relaxed descents and master a real alpine pass by bike! 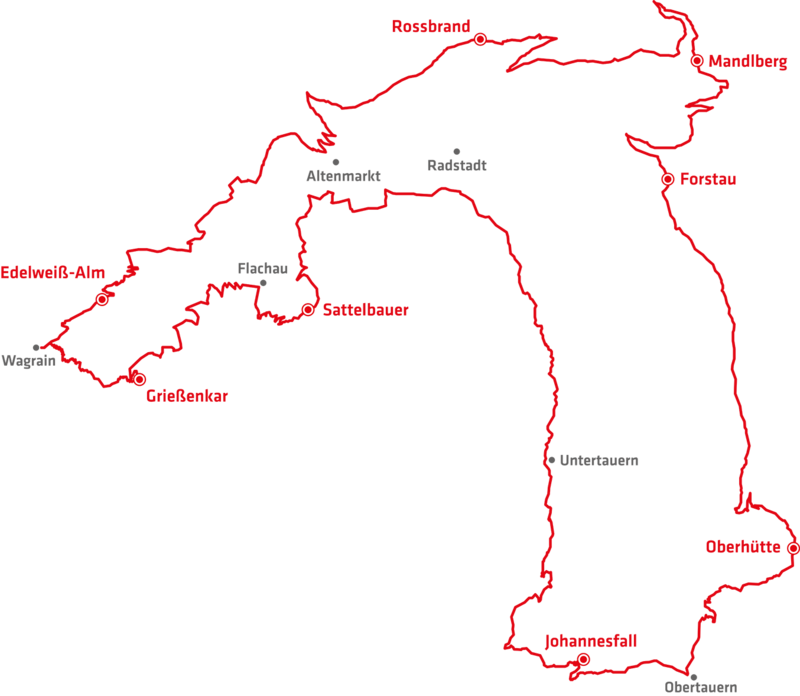 Did we mention that the descent from Grießenkar alone is nine kilometers long? Sometimes rooty, sometimes flowing - a unique and wonderful trail. The Stoneman Taurista mountain bike is not a competition! Your own performance and your individual mountain bike experience is the benchmark. If you conquer the course in one day, you have earned the Stoneman gold trophy. If you master the Stoneman in two or three daily stages, you earn the silver or bronze trophy, respectively. The most important thing is that you have a great time.